Image heavy and really neat post below. Click on the postcards to see them bigger. Earlier this week, while I was preparing the previously mentioned distressed postcards for sale, I noticed for the first time that most of them are addressed to the same last name. 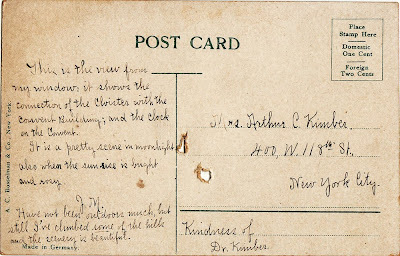 I googled the first one, a Dr Arthur Clifford Kimber and found an extensive history about his son George Card Kimber and his family. George Kimber was a Geographer and the first Vice President of the Association of Pacific Coast Geographers. In later years was a farmer in the California Bay Area. He died in 1960. His father was a Doctor and Reverend who died in 1909. After that the family moved from New York to California. The history online was very thorough and was provided by his daughter, Clarrisa, a Professor Emeritus of Plant Geography at Texas A&M. 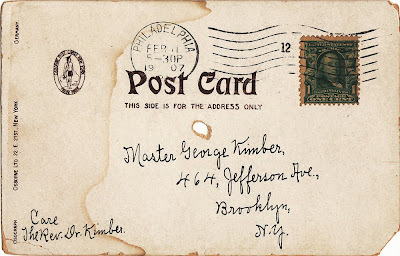 What is amazing is that my box of messed up postcards are all in-my-hand evidence of the timeline from this online history recalling 100 years ago. 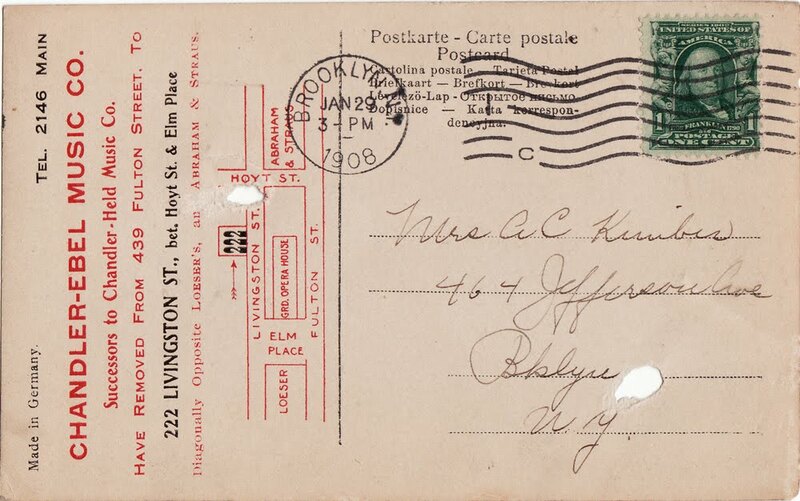 I have postcards addressed to the Rev. 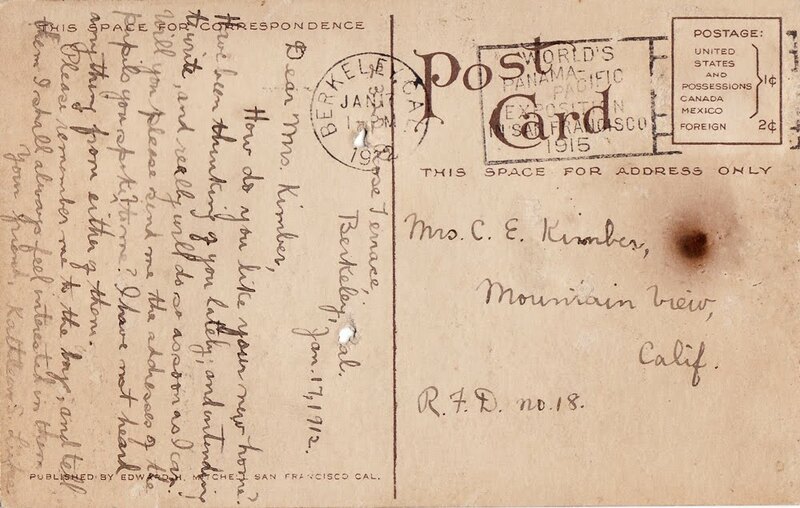 Dr. Kimber, to his wife, to George and to his brother John and Clifford (who died heroically in WWI). I have postcards from the sons to their parents. I have postcards that show addresses from Canterbury, England to Mountain View, Ca. 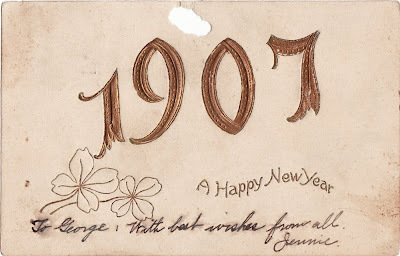 The postcards I have all seem to be from 1905-1912. How remarkable. Even more remarkable is the fact that I can look up via Google street maps and can see where they lived! From the history of George Kimber found here. 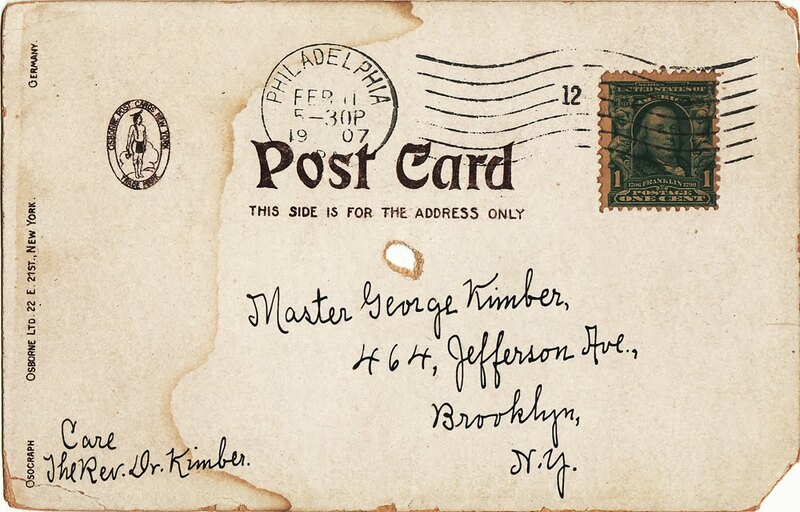 George Kimber was born July 4, 1898 in Brooklyn, New York. His father was Dr. Arthur Clifford Kimber, Jr, Vicar of St. Agustine Mission Chapel in Trinity Parish, New York City. Both his father's parents had come to America from England in the early 19th Century. George's mother was Clarissa Evans, music teacher and daughter of two old up state New York farming families. George was the youngest of three boys...Throughout his life he was influenced by religion, the temperance movement and music. (now it is a Stur Dee Products store). As a very young boy, he had a year (1903-4) in England at the Froeble Academy in Canterbury, Kent during the time...his mother took lessons in music and pedagogy. Upon the family's return to New York, his mother took him to be interviewed by the Prescentor at the Episcopal Cathedral of St John the Divine. He was found to have a nice voice, untrained, but he could hit high C! 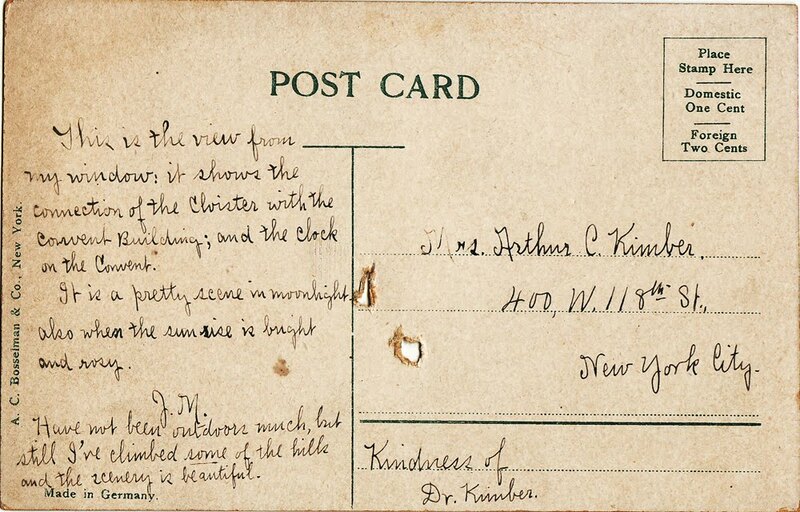 The postcard below was sent in April 1908. 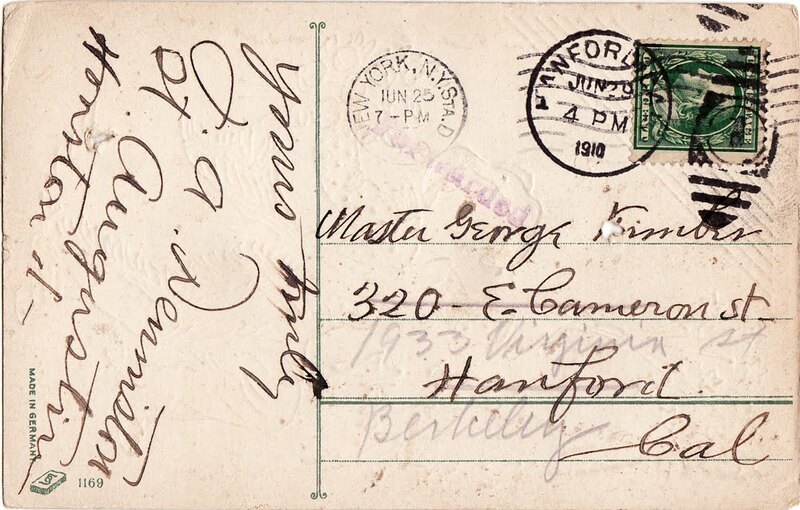 A postcard dated August 16, 1908 to George Kimber sent to this address in Canterbury, England. It looks as if the whole family went back to England around this time for a visit. The family moved from Brooklyn to Manhattan in 1908 to be closer to the Cathedral school and their father's church. When George's father died in 1909, his mother decided to take her sons to California where her family was then living. This is the obituary of the father, found online, from The New York times archives. 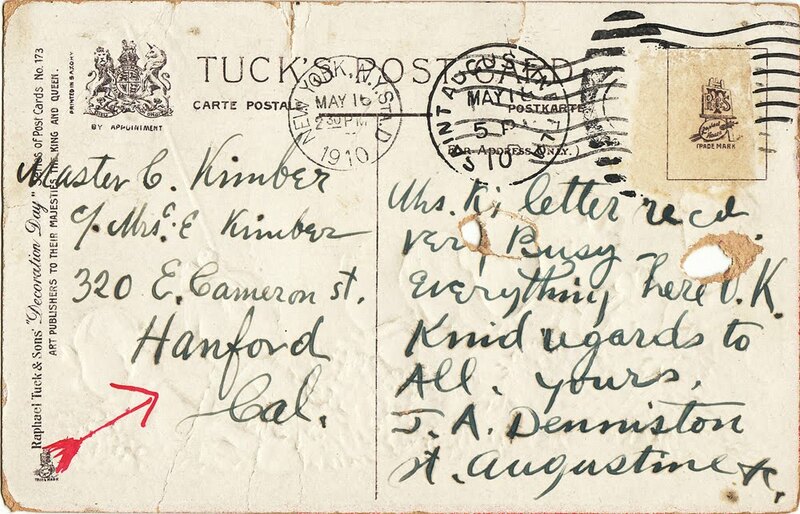 Dated July 27 1909. They sailed via Cuba for New Orleans where they would take the train on to California. Upon reaching Los Angeles, they proceeded to his aunt's ranch in Hanford, Kings County which was the Evans' family headquarters at that time. 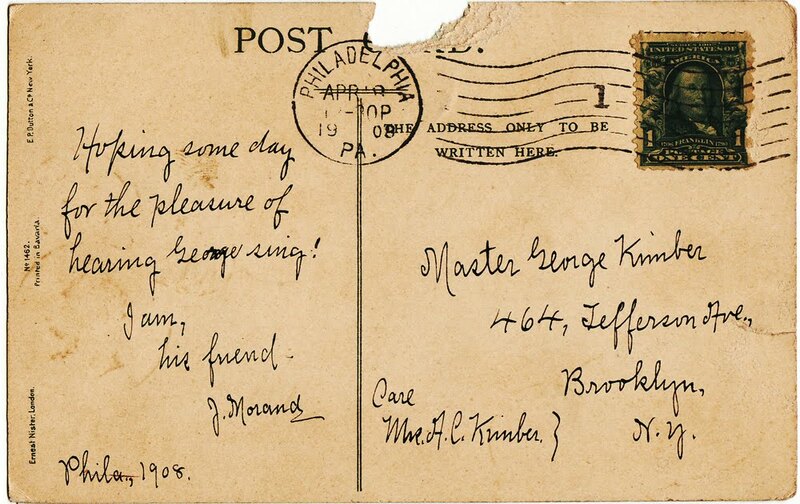 Here is a postcard sent to the George's brother, Clifford on May 16th 1910. 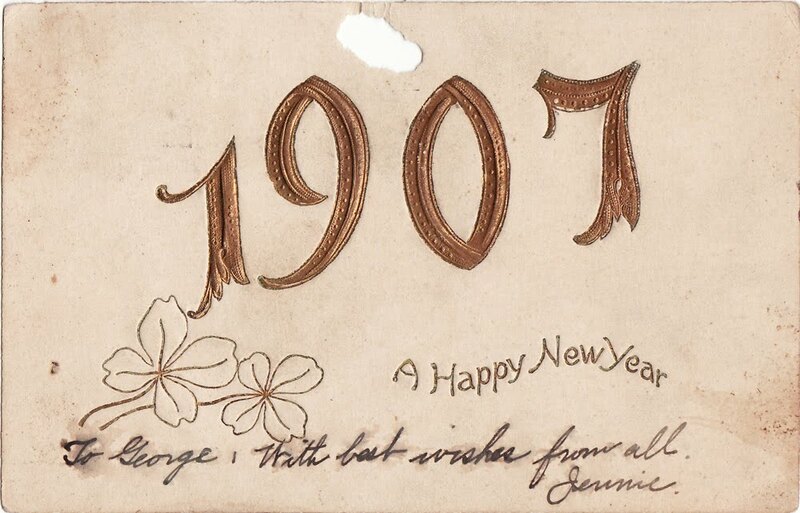 (The front of this card is the children with the flag in the previous post.) Here is where they stayed in Hanford. That was ranch land back then. Mrs. Kimber was anxious to raise her sons in an academic setting and went to Berkeley, the location of the University of California. She became a music teacher using her skill and developing interest in pedagogy. Here is a postcard from only a month later, dated June 25 1910, sent to George. It is the 4th of July card shown at the top of my previous post. (The 4th of July was George's birthday. Odd how I did that post yesterday on the 4th without knowing that.) It was forwarded to this address in Berkeley. After a year in Berkeley, she found the city too large and an uncongenial social environment. She decided to move to Palo Alto across the bay where the Stanford University faculty might have a stronger influence on the social climate of the much smaller town. Able to sell some property in New York City from her husband's estate, she bought a small farm nearby. It looks like the farm was in Mountain View. I lived in Mountain View and there are no farms there anymore, as you can imagine. 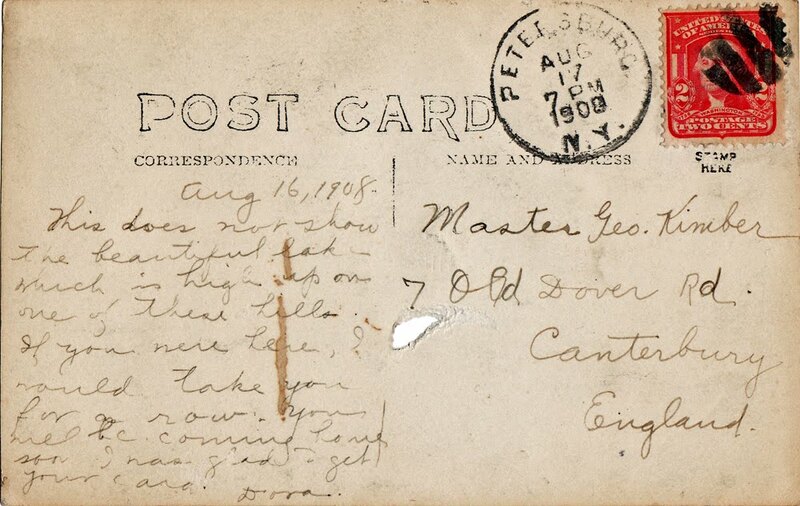 I wish I could find a postcard with an address from Mountain View, but it was so rural they weren't needed. Here is a postcard to Mrs Kimber from Jan 17, 1912. You can read all about George and his family, which is impressive and very interesting here. This is where I got the info from. They sure did a lot of moving around for a while. 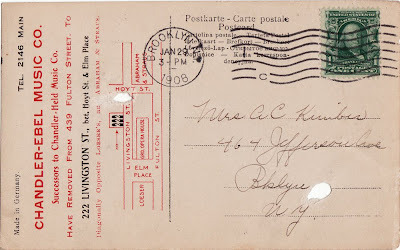 I had no idea when I first got this box of damaged postcards what it contained. The formative years of a families life from 1905-1912. They moved many times during those years and lost a father. Most of the messages are very short and general. Some are more detailed. Many of the postcards I have are blank. 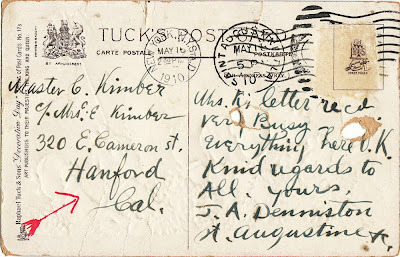 There are some from the Stanford Campus and SF area that were postcards of the 1906 earthquake. 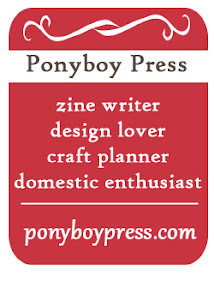 This makes me think that at least a number of these if not all of the blank postcards are theirs. But the real question here is why do they all have at least one hole in them? What happened to them? Maybe the boys used them for target practice out on the farm in Mountain View. They were pretty dusty when I got them. I wiped each one of them off. Probably cleaned off dirt from 100 years ago. Maybe they were nailed on a wall and quickly yanked out? The small rusty nails that are in a couple of them would support this. Maybe the boys lined a fort wall with them. Perhaps the farm or fort was on the same land that I ended up living on 90 years later. All these little pieces of paper I collect, every little one of them, hold stories, represent lives and precious memories to people who are most often no longer here. It is remarkable, exciting and sometimes overwhelming. If you got this far, thanks for reading and following me on this discovery. I wish that there was a stronger word than "incredible"! I would use it right now to describe the contents of this post! ou must feel as though you are holding a cave of treasures! The hole question is quite a mystery. My first thought - probably way out of line - would they be used on the floor? Like newspaper for insulation and double as a good storage area? The holes would then be the nails from floorboards holding them there. I read your post, and the article on George and then my computer froze up! 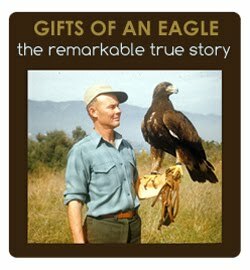 Anyway - amazing story and a wonderful life. 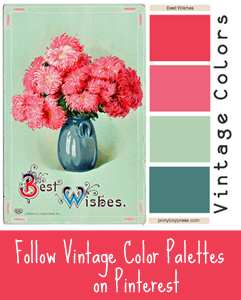 this is a special post - thank you.